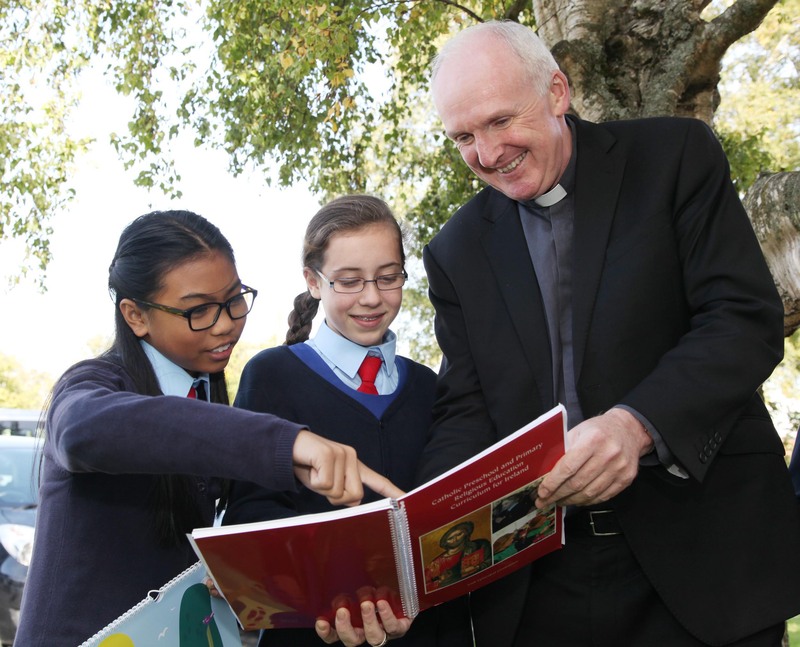 On Monday 28 September Bishop Brendan Leahy, Chair of the Bishops’ Council for Catechetics launched the new Catholic Preschool and Primary School Religious Education Curriculum for Ireland (2015), and its related religious education programme Grow in Love in the Presentation Girls’ School, Maynooth. This is the first time in the history of primary religious education that teachers have been offered, in the form of a curriculum, a structured outline of religious education as an academic discipline. Grow in Love (Veritas) is the religious education programme based on the curriculum and will be available for use in Junior and Senior (P1 and P2) classes from September 2015. The new Catholic Preschool and Primary School Curriculum for Ireland is addressed to bishops as patrons of Catholic schools, to teachers, to principals, to programme writers, to Diocesan Advisors and to lecturers in the field of primary religious education. Grow in Love is the education programme based on the new curriculum. Some of the content at various levels is different from the content that was taught in the previous Alive-O series. Teachers have been welcoming both the change and the continuity evident between one series and the next. The children’s Grow in Love textbooks are designed to be used both in school and at home and each week, families are asked to help their children to do something related to Grow in Lovefor homework. The text books give the parents the resources to do this. This approach is in line with the vision contained in Share the Good News – the National Directory for Catechesis in Ireland which sees home, parish and school working together to share the faith with children.